In our world today, we only see the poverty on the streets, hear about the wars, famine, factory farming, smell the pollution in the air and I think we all sense and feel that our human race and planet is very unstable. This overload of negative sensory stimulation can make many of us feel hopeless, depressed, angry and completely unsure of the future. I know I have felt that way at a pivotal point in my journey. But truth be told, there is an invisible revolution happening – it’s taking place outside of the cities, on degraded lands, down long dirt roads, in the mountains and up dried river beds. This revolution consists of groups of people who are deciding they have had enough of our extractive society and unfulfilling jobs, who are making a choice to pool their resources together and go back to the land (where we came from) to learn the old ways of living together in villages, cultivating community, taking care of one-another and learning how to take care of the land once again. Courageous and ordinary people are choosing love over fear, creation over destruction and finding the will in themselves to follow a vision for the thriving future they see for their children and grandchildren. This is a movement of remembering that the earth is one fragile ecosystem and we are interconnected. We are designing our lives and our lands with the whole system in mind. Through this mindset we are finding ways to not only become sustainable but through proper management, we’re bringing more LIFE back to our planet. In this movement we are practicing regenerative agriculture, permaculture, alternative governance models, nature based education, natural medicine and open source information exchange. These holistic farms and villages can be visited and they’re offering to teach us a new way of relating to this planet and each other! 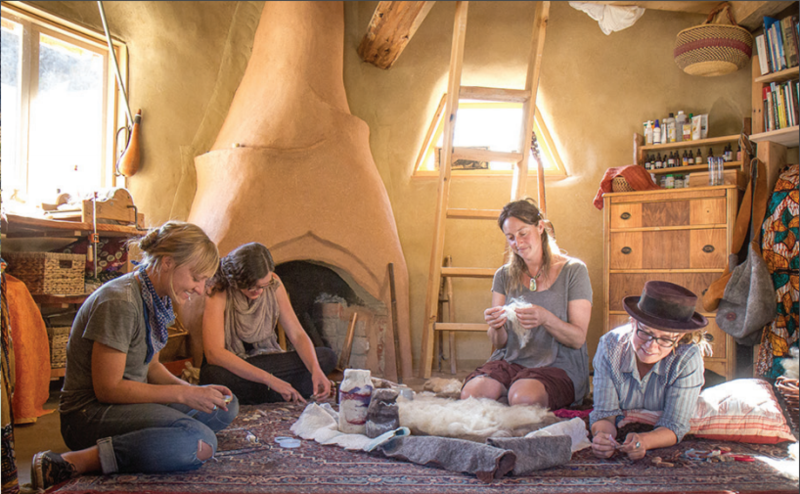 A permaculture demonstration center that demonstrates holistic ways of designing human environments, restoring and revitalizing the land and community, and facilitates deeper understandings of ourselves and one another through immersive experiences in nature. Quail Springs whose stream went from 3 gallons per minute to 60 gallons per minute and have adorable examples of tiny houses made from Earth. A 9 acre intentional community of health practitioners, children, visionary business leaders and educators all building a space for heart-centered community and collaboration. 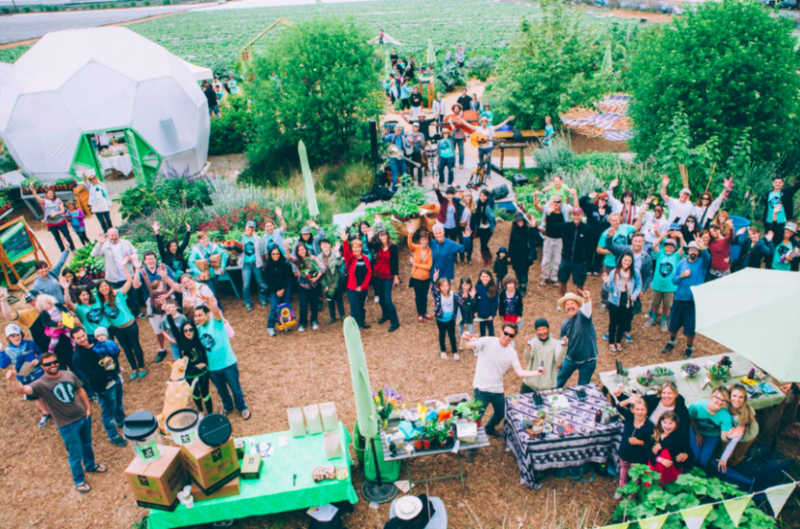 The Emerald Village visioned and co-created a 5 family successful, heart-centered and co-parented eco-village that practices alternative governance models and effective and responsible communication practices. 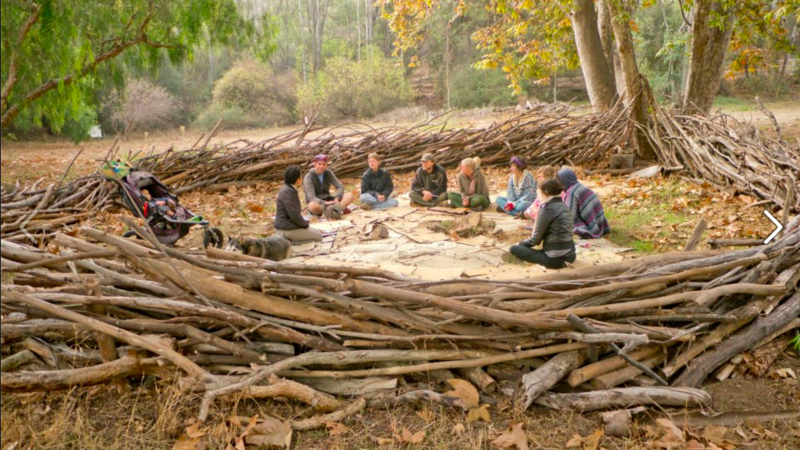 An education center that inspires through examples of landscape restoration and succession into abundance using permaculture ethics and principles. 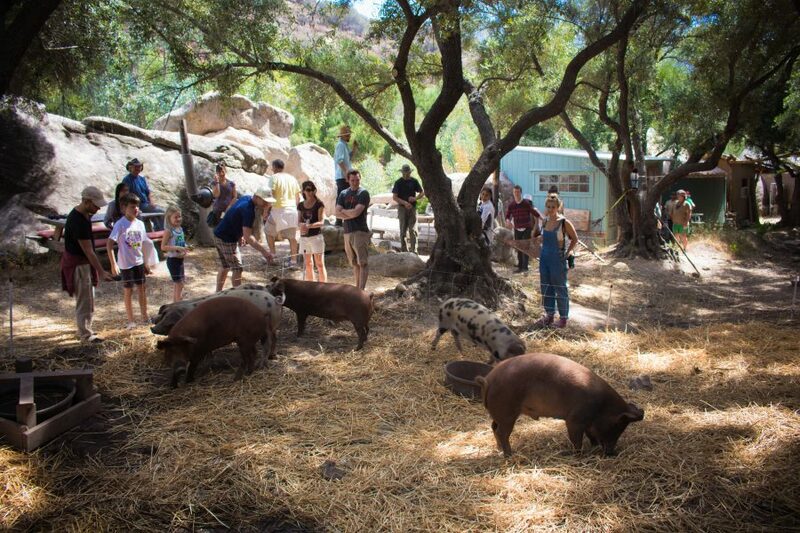 East End Eden turns over 12,000 pounds of “food waste” into rich soil yearly thanks to their pigs and are building a pond that will harvest a 1.5 million gallons of drinkable water that otherwise would run off into the ocean from just a few days of rain in drought stricken California. An educational center, that engages individuals, families, and students in fun, hands-on activities that teach practical, environmental solutions at the household and community level. An organic farm that educates, empowers and cultivates sustainable food through hands on workshops on gardening, composting, vermiculture, beekeeping, fruit trees, natural pest control, organic soil amending, animal husbandry and more. Wild Willow Farm cultivates resilient local food systems and trains up future sustainable farmers. There are several more examples that you can discover on The Sustainable Living Tour and it is beyond inspiring to see this shift happening right before our eyes! mother that decides to give birth at home. parents that agrees to an alternative to public school. family that decides to grow their own food. person who decides to use their money as a form of voting. individual who chooses to follow their own passion to create a career. CEO who directs an ethos in their company of providing for the people and the environment. On a personal level this shift from the inside can happen once we stop complaining about the problems and start creating, collaborating and contributing to the solution. No matter how far you travel away from your home, when you are tapped into this network of new earth network, you will meet people on every corner of this planet who have a similar set of values and are actively working towards creating this collective vision. The degrees of separation continue to decrease, and soon we will all remember the Truth – that we are all interconnected. It is every individual, each community, and all of these sustainable living centers that are leading the revolution to re-enliven our watersheds, bring our soil back to life, heal our human relationships and steward the earth with future generations in mind. The earth is coming back to LIFE. 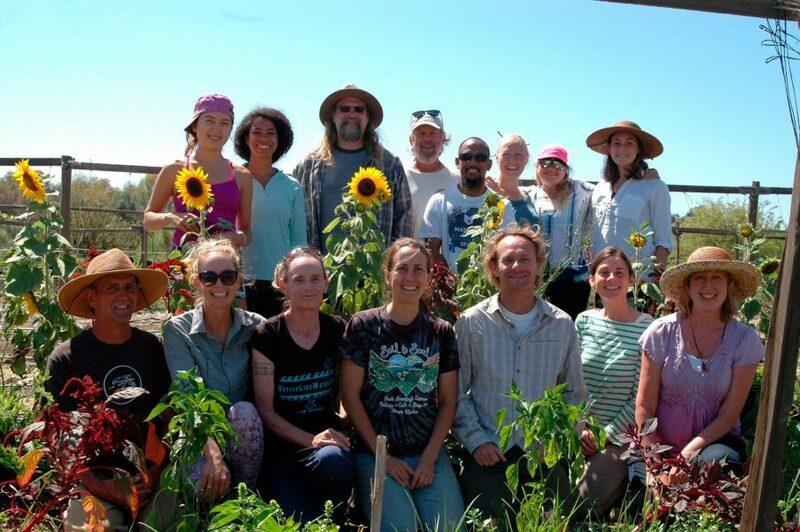 Apply now for our 12-Day traveling retreat visiting Sustainable Living Centers in Southern California.